newcomer, you might find it confusing. Basically, every Flash has electric power each. However, there are several important differences that you should know between those two. The differences are the main key of each type. Here we are going to talk about that. 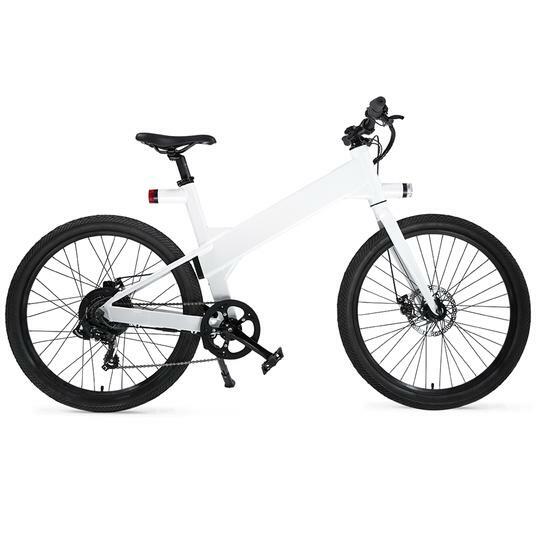 Flash V1 electric bike offers the safety, security, and intelligence as its three main elements. The design is specifically made for the modern world with sophisticated technology. It could be seen from the embedded touchscreen. Other than that, you can connect the GPS of your back to your smartphone using the Flash app. Later, you will know where your bike is or how far you have ridden. Other sophisticated features you should know are such as its advanced intelligence. You have your own PIN code security to your bike. It is also equipped with the alarm that senses your motion, a remote to check your battery, and many more. So, if you want to have an electric bike with sophisticated features then the Flash v1 is the one for you. Flash Metro is a coming-soon product of the Flash. It offers power, performance, and personality. This is really suitable for you who love any customization, especially about your ride. The bike is equipped and operated by the three buttons. There are multiple options for battery and motor configurations along with its easily removable battery. You can upgrade this bike if you want to. The upgrade includes the hydraulic brakes, front suspension, and many more. The Flash Metro allows you to give what you like to balance the performance according to your budget. In overall speaking, the Flash Metro provides more freedom for the user. Besides the variety of the model, it can be upgraded as you like. If you live outside the USA like Europe and Canada, the Metro can be shipped to your house. The main pros of the Metro are such as the removable battery, the model varieties, and the ability to be customized. However, if you like something simple with smart technology features, anything you see on advertiser Flash v1 Lite will satisfy you. If you are into technology and anything smart, we recommend the v1 after all.